8 bottles: WiSH Vineyards and Dolin Malibu Estates share the same winemaker so it is only natural to feature the Dolin Malibu Newton Canyon Chardonnay as a paired white to WiSH Vineyard's red. 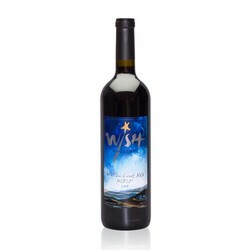 8 bottles: Mix of WiSH Vineyards Merlot, Cabernet Sauvignon & Meritage personally selected by our winemaker and owners. Shipment: occurs 2 times per year (May and November).